Gloria Vanderbilt and her youngest son, Anderson Cooper, come together to reflect on their extraordinary personal history. 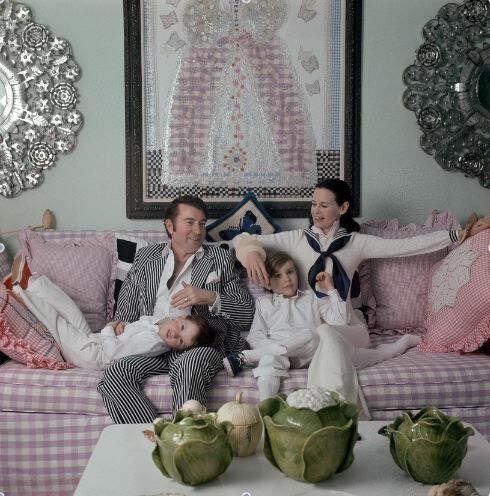 Born under a name synonymous with wealth, fortune and New York royalty, Gloria Vanderbilt has lived in the public eye for over ninety years, unapologetically pursuing love, family and career, and experiencing extreme tragedy and tremendous success side by side. Now, through Gloria’s charming and unique artwork, coupled with rare personal footage, and narrated by candid conversations between mother and son, we see her as never before. Gloria and Anderson tell the story of their pasts and presents, losses and loves, revealing how, in life, our family stories repeat themselves in the most unexpected ways. Nothing Left Unsaid had its world premiere at the 2016 Sundance Film Festival, it premiered on HBO April 9, 2016.